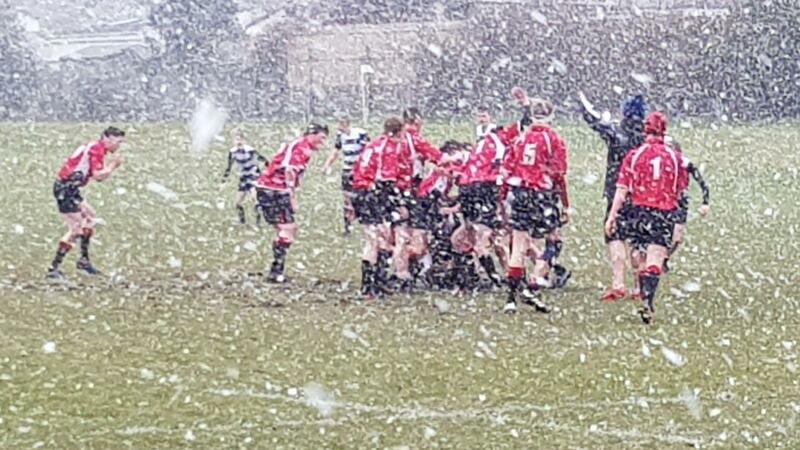 Last weekend, the only action was on Saturday morning in Edinburgh, with two matches (S3s and joint S1/S2) against Royal High School at Barnton. Another strong performance from the S3s who had a couple of new faces in their ranks. 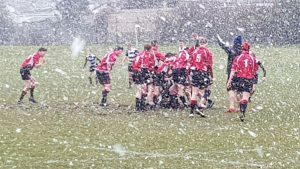 The match was played in wintry conditions and the young Reds were up by 3 tries at half-time, the scores coming from Ewan C, Ben and Gregor. Royal High claimed a try early in the second half to peg back the score to 5 – 15, however this was short-lived as the young Reds ran in a further three tries, from Ewan, Ben (his second of the match) and Rory, with Ewan C converting one in the windy conditions. Well done to everybody, especially the boys who made their debuts.